Better Than: Sitting at home alone burning a stick of Nag Champa while staring at the cover of Meriwether Post Pavilion. Walking into House of Blues last night, two things were obvious: The show was sold out, and many of the tickets were paid for using allowance or lunch money. The audience was diverse, but much younger than was probably projected (a friend observed that it looked a lot like a Cobra Starship concert audience). Not long after opening act Black Dice took the stage, the room sounded like it was going to break apart. Several people actually grimaced and shook their heads as the band let loose song a frantic barrage of sounds. Luckily, the experimental electronic/noise outfit, like all good indie-experimental bands, had a video projecting on the backdrop for the audience to watch, because, unless you were in the front few rows, you couldn't see much of the band aside from a few busy silhouettes. Like Black Moth Super Rainbow the night before, the Brooklyn-based trio relegated itself to the shadows of the stage, their faces only occasionally visible by projector's light. But the raw, primal soundscapes the trio unleashed on the packed house were alternately mesmerizing and alienating. Then, between Black Dice's and headliner Animal Collective's sets, a huge white sphere was rolled out on stage to "Oh," "Ah" and "WTF?" cries from the crowd. It looked like a giant beach ball that had been bleached bone white, and, soon, stage hands had it strung up and hanging above the stage. What could this possibly all be about? Animal Collective opened with a fantastic "Daily Routine" off MPP and, within the first few seconds, a hazy smoke started wafting from the crowd. By the time they played "Summertime Clothes" a few songs in, the air in HOB was thick with the smell of weed. During Animal Collective's set the band continually alternated between its mellow and ambient choral-whorty numbers and its more intense, driving songs. Sure enough, though, "Summertime Clothes" and "My Girls" were high points of the night. But the absolute highlight? It had to be the encore. The band played a mesmerizing version of "No More Runnin'" followed by a full-band performance of "Comfy in Nautica" off Panda Bear's phenomenal solo album Person Pitch. The song stole the show and the crowd erupted in applause. In the end, the night was all about balance. The Baltimore ensemble struck a perfect balance between the new, more commercially appealing songs, the less-accessible older material and the improvisational jams that the band's known for. Just as the audience seemed subdued by some narcotic haze, the band would bring them back to life by dropping a song like "Fireworks." Where Animal Collective chose to mix in a fair amount of older material and the proverbial "fan favorite" tunes, opening act Black Dice did not mine the depths of its own back catalog. Which is why, basically, they're not Animal Collective. 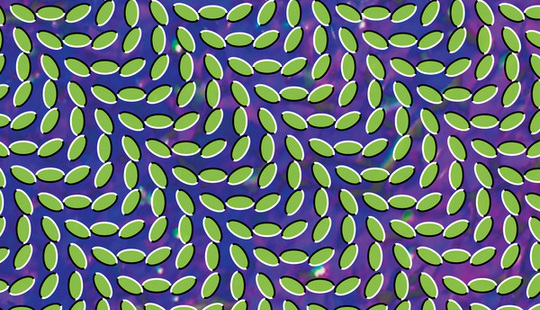 Personal Bias: I've been drinking the Animal Collective Kool-Aid since Sung Tongs. But I'd never caught them live before, and, I can honestly say, I was shocked at just how good Panda Bear's and Avey Tare's vocals sounded live. I never realized how much they utilize their voices as instruments. I'd assumed that there was some looping or other trickery involved. Nope. Just the two of them harmonizing. By The Way: Admittedly, the last Black Dice album I bought was Broken Ear Record (which even the merch guy agreed was a much better album than Repo, the band's newest full-length). By my count, though, all but one (or maybe two) of the songs the band played last night came from Repo. Oh well. Random Note: Two nights in a row where the headlining act's members use pseudonyms. If I'm going for a trifecta, where should I go tonight?